The Kennel Club is famous for its annual dog show ‘Crufts’ where it promotes dogs through show classes, obedience competitions and various other canine activities which are regulated by the KC. The message is that these dogs are the best examples of their breed and Crufts demonstrates the important role that dogs play in our lives. The Kennel Club is a private members’ club and company limited by guarantee, which has overall power and authority in the world of ‘dogdom’. It registers puppies born and changes of ownership, and issues pedigree certificates. It charges breeders for this ‘added value’ and has an annual turnover in excess of £20 million per year (£6M from registration services – 2016). 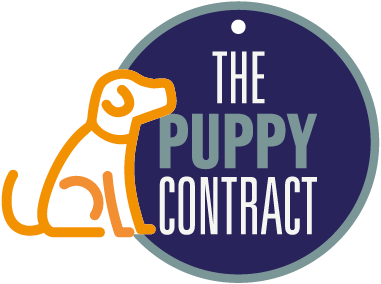 In its role as a registration service the KC will not get involved in disputes between puppy buyers and breeders. It is important that buyers of KC registered pedigree puppies realise that registration is not a guarantee of health or quality. It is also important to note that it is estimated that twice as many pedigree puppies are bred each year that are not registered by the KC. These puppies are sold ‘without papers’ or perhaps with a pedigree from one of the commercial registration companies or mixed breed associations such as the Cockapoo Club of GB. The KC runs an Assured Breeder Scheme (ABS) which promotes good breeding practice through a quality assured process accredited by UKAS. The majority of KC registered dogs are not bred by Assured Breeders, although many of these will be bred by breed club members. The main purpose of breed clubs is to be the guardian of their breed for future generations. They also organise and run dog shows. People who breed and show dogs generally belong to breed clubs. Any breed, particularly if it is a numerically large breed, may have several breed clubs, but usually there is a national breed club which tends to be bigger and more important. For example, in the UK, there is a national Cavalier King Charles Spaniel Club and nine regional clubs. Clubs are autonomous but often work together on important matters which relate to the breed. Some breeds also have a Breed Council which is a formal way of bringing several clubs together to work collaboratively for the benefits of the breed. Club members compete with each other to win challenge certificates (CCs) in various classes and hope that their dog will eventually become a champion by winning 3 CCs. All dog shows (excluding companion dog shows) are run under the auspices of the Kennel Club. There are strict rules governing the entries and classes, which apply to all breeds. Dogs are judged according to how closely they represent the Breed Standard which is the official Kennel Club written description of the breed. To a certain extent, prize-winners will depend on the particular preferences of the show judge (who may also be a breeder and member of the breed club). The dogs who become champions are valuable to their owner. If male, they will often command higher stud fees and the offspring of male or female champions may earn more for the breeder in puppy sales. Owners of champion dogs win prestige among their fellow exhibitors and, often, rivalry is intense. The Kennel Club has a general Code of Ethics which breed clubs are required to adopt and they may add their own breed-specific clauses to this. Breed club members will be expected to comply with their club’s Code of Ethics which sets out expected good practices for breeders. Unfortunately, the Code of Ethics is not easily enforceable as they are not ‘rules’ but simply guidelines. It is left to breed clubs to handle things as they see fit and often a breed club will be powerless to deal with poor breeding practice. Clubs are run by a committee elected by members and within those committees, there will be one or more people who are the health representative or health sub-committee. It is a Kennel Club requirement that every breed should appoint a Breed Health Coordinator (BHC) to represent the whole breed in the UK and liaise with the Kennel Club on matters of breed health. Breed clubs vary in their attitude towards genetics and the health of their breed. 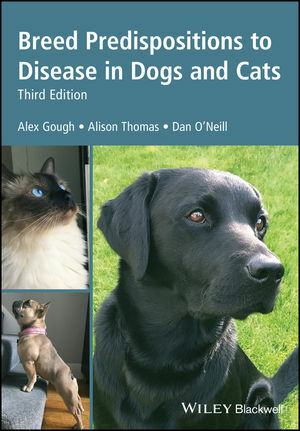 Some have plenty of information on their websites about breed-related health problems, others do not. Some breed clubs work hard to persuade their members to health test or to follow breeding practices to reduce the risks associated with high levels of inbreeding. Some others try to play down health issues or even fail to acknowledge that there are any and it appears that their priorities are the rosettes awarded at shows and the freedom to enjoy their hobby without outside interference or regulation. Ordinary dog owners rarely join breed clubs because they are not interested in breeding or showing but maybe, if they love a particular breed, they should. If ordinary dog owners became involved in breed clubs, their interests could be represented and respected. After all, it is pet owners who buy the puppies from breeders and who provide the finances to allow breeders to pursue their hobby.